Removed the calipers over the weekend and brushed them down. Washed them with paint prep wipes and brake cleaner. 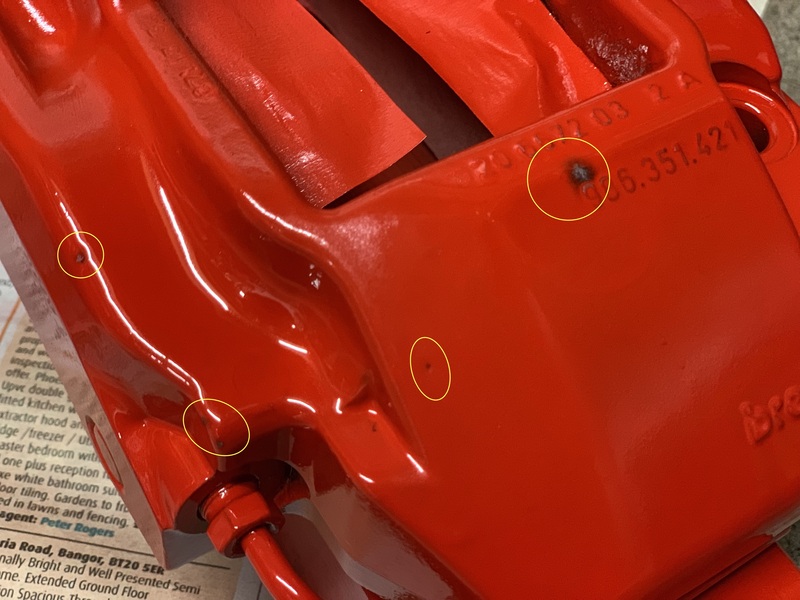 Sprayed the caliper paint on, and did many fine coats, however there were always a few spots that didn't see to want to take the paint.....it seemed like the paint physically wouldn't stay on. I've circled these in the below photo. Should I just mask off the area, sand it down a bit and respray? 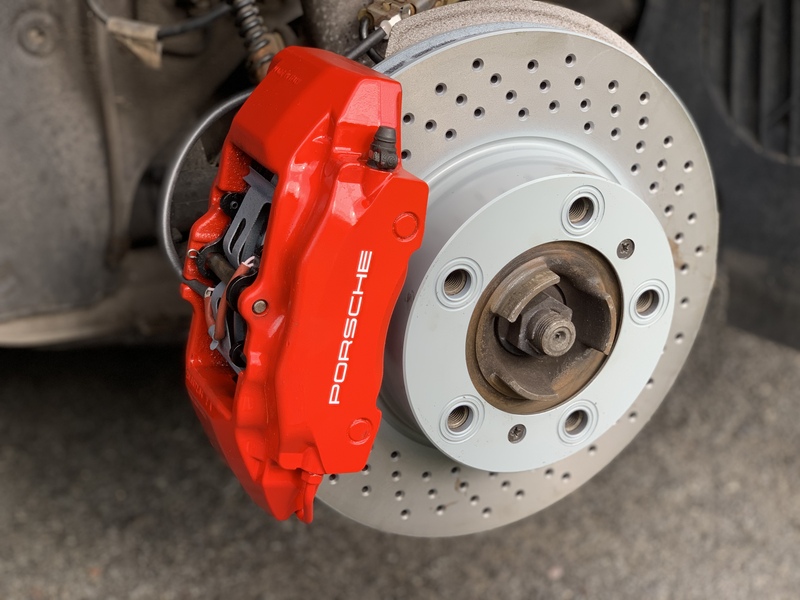 Or do I sand the whole caliper down again and start from scratch? I'm trying the next caliper with a different brand of spray incase there was something strange going on. 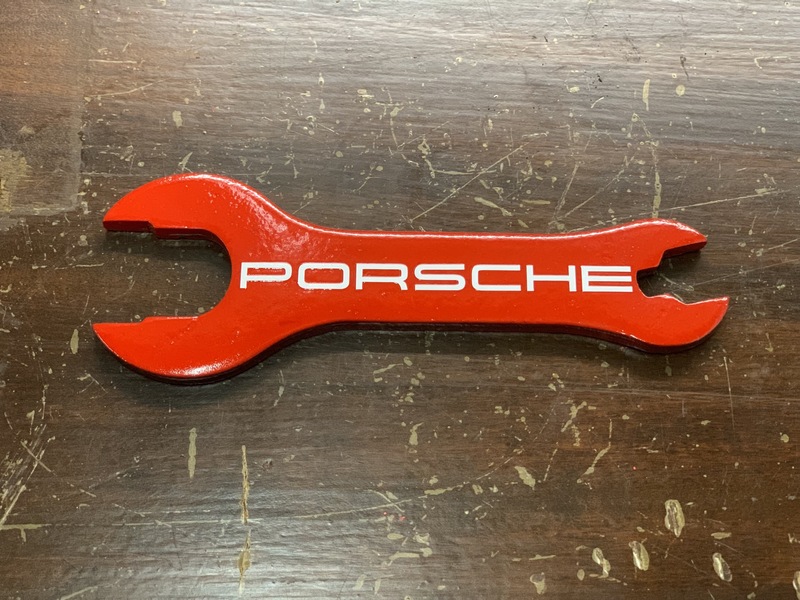 If they are just anodised from factory as some black ones are (cant see to well so maybe yours are) then you normally need a decent etch primer first, you cant just spray top coat on and expect it to stick or not react a little. Thanks. I’ll try sanding down the small area and adding some primer. The paint stated that primer wasn’t needed, hence the reason I didn’t use any. I always dust the sandpaper over (ensure decal fully gone), wipe down with brake cleaner then etch prime before painting them. I’ll be trying some etch primer later on the spots. Update. I sanded down the little spots mentioned above. Primed them and respirated. Unfortunately you can see the difference in thickness where I sanded. Ended up wirebrushing the whole caliper again. Will be spraying primer over it this morning and starting again! 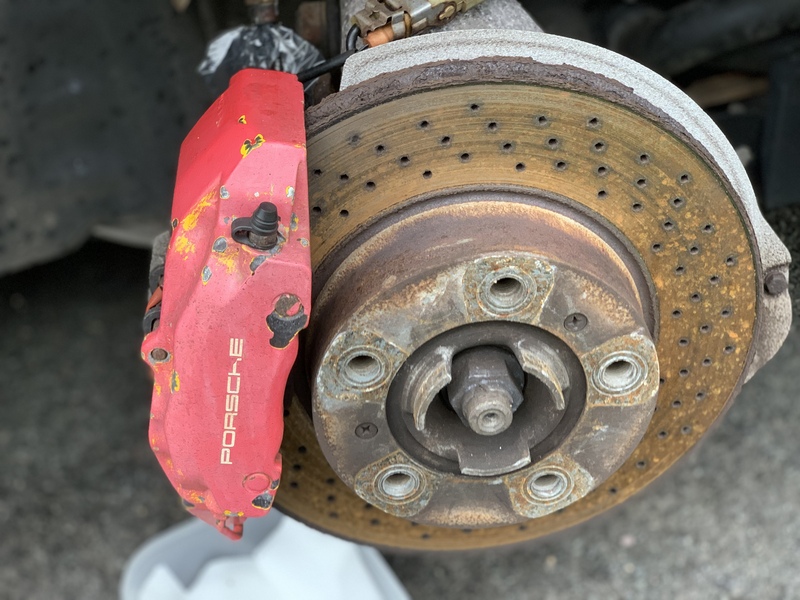 The other caliper seems to be okay. Its not 100% perfect but way better than it was. Doesnt have any laquer on it....should I? I think considering how bad they were they have come out well. 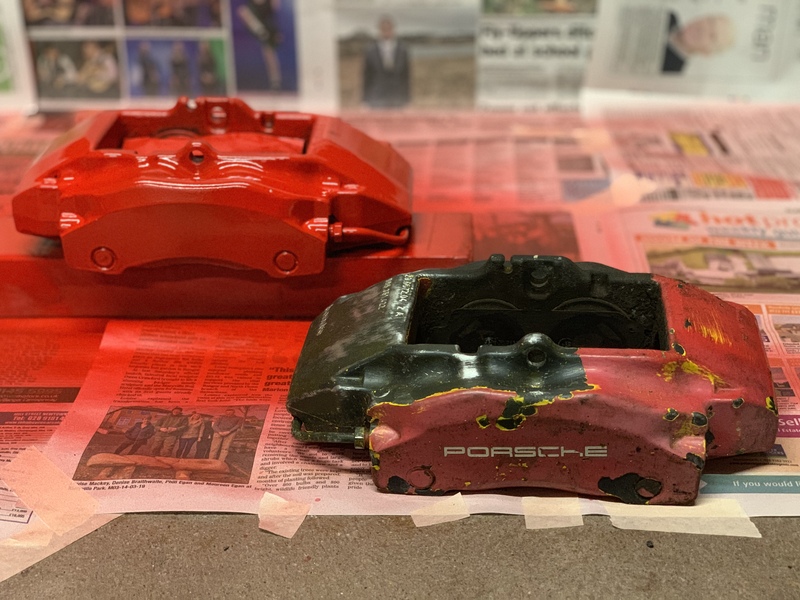 I have only ever repainted calipers that have been originally red so I’ve never had to etch primer. I thought I’d test the laquer first in case it went t*ts up and ruined everything. 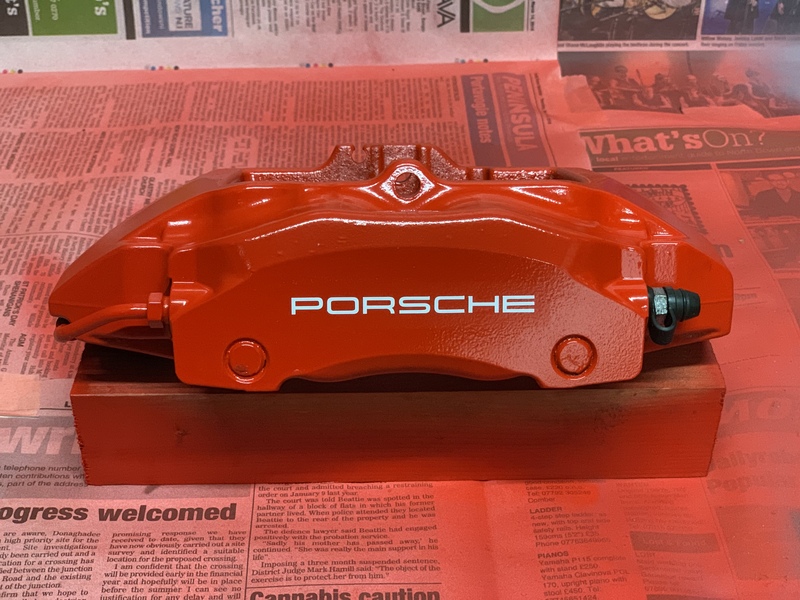 So I eventually got one caliper done and lacquered and back on the car again. These look great - can I ask where you sourced your decals please? @dpg123 I ordered them from https://www.ccdecals.com/. I recall someone else using that site. £4.99 plus £1 for postage. They were the white, 3 inch ones. Out of interest, did you lacquer over the top of the stickers or just stick the stickers on and leave them? I sprayed lacquer over them ... just to be on the safe side. i sprayed mine up, black with white decals but did it in situ, as others have said any imperfections really wont be obvious when on the car behind the wheel.